When one thinks of the Vietnam war they usually think of the US and Vietnamese forces. However other nations contributed significant forces to the conflict in line with SEATO obligations. Australia was such a nation and contributed a Brigade sized force from 1965 having previously supplied highly skilled advisors since the early 60’s. 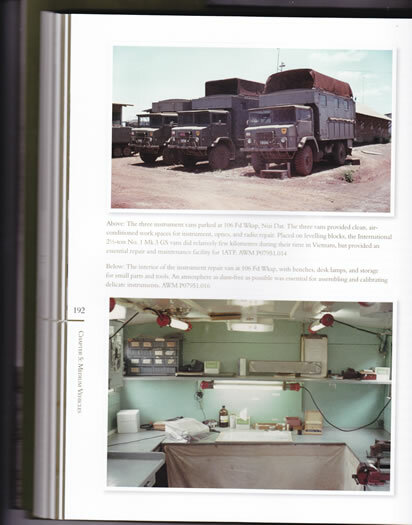 The Australians used a large variety of Home Grown and Overseas materiel in that conflict and this book is devoted to the AFV, Vehicles and Artillery used by the Australian Forces in South Vietnam. Previous books on Vietnam have covered the Australian Armour or specific vehicles but this is the first to my knowledge to attempt to catalogue all the AFV, Vehicles and Artillery used by the Aussies. Each Chapter is well written and supported by photographs but also contain recollections of the service men and women who crewed these vehicles which really rounds out a very appealing book. Many unique and rare equipments are covered and the scope of the equipment amazed this reviewer who though he was quite knowledgeable on the subject. The first chapter deals with shipping the materiel to Vietnam on converted Aircraft Carriers (The HMAS Sydney) and cargo ships. 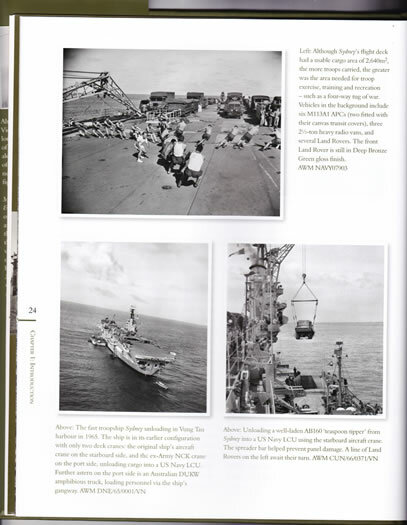 It also covers the rarely mentioned Army Small Ships that served in Vietnam including the LSM’s and LCM’s. It is rounded out by sections on the Vehicle numbering and Vehicles Hired from the US including M48 Tanks used for Mine Clearance, M108 SPG’s, M52A1/M127A1 12 Ton Semi trailer combos plus numerous light and civilian vehicles. 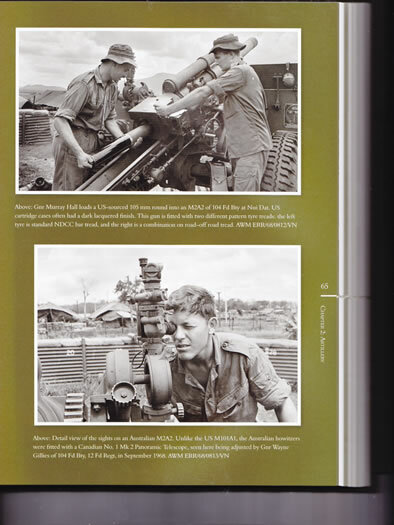 Chapter two deals with Artillery and covers the modernisation of Australian Artillery , the search for a good Jungle gun and the M2 105’s in service. 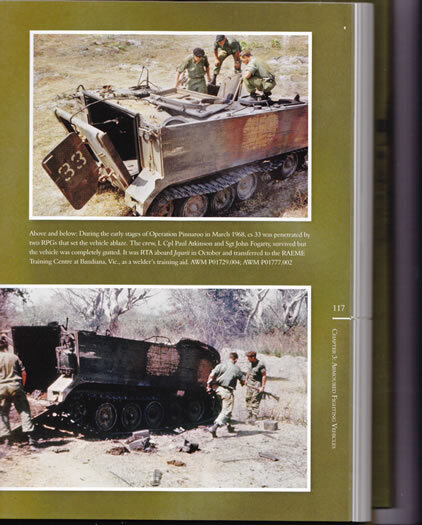 AFV’s are covered in chapter three and mainly is devoted to the 113 APC family and the Centurian Tank. 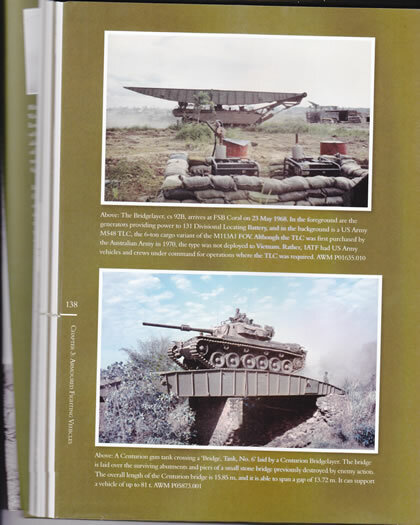 A lot of detail about the Experiments with armament and protection plus the project to fit the T50 and M74 turrets to APC’s is found alongside the Organisation of Cavalry Squadrons in this chapter. The Centurions are covered in detail including specialist variants, modifications and tabular information regarding the fleet. Organisational Tables of both Cavalry and Tank Squadrons have a wealth of useful information including Callsigns and Radio Configurations. The chapter is finished with Troop Leaders recollections of his service in Vietnam. From the Heavy stuff we jump to the light vehicles including Land Rovers and Civilian type vehicles used by the Army and Government and non government organisations. There is even a small sections on Captured Vehicles including the Citreon 11 CV used by the Nurses at 1 Fd Hospital after being painted Pink and getting a few Hippie Flowers added! 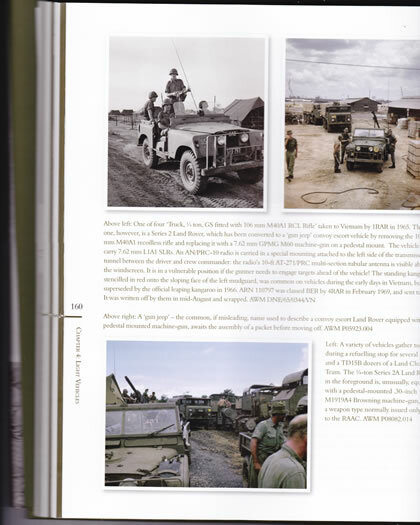 The Medium Vehicles mainly the Mk 3 and Mk5 F1 Trucks are in the next chapter alongside the US supplied M543 Wreckers that did sterling job in Vietnam. Following on is the Chapter on Heavy Vehciles including Semi Trailers and Low Loaders to move the engineering Plant and Tanks around. Heavy engineering Dump trucks round this chapter out. The last Chapter covers the Engineering plant from bulldozers of all types to Graders, Scrapers, Water Purification plant trailers and every conceivable engineering equipment in between. The three Appendices covering a Tabular listing of the equipment, Colour Guides and marking Guides complete an excellent book. This is a fantastic book crammed with rare photos of the massive variety of materiel used by Australians in Vietnam including equipment hired especially for the conflict and not forgetting the oft overlooked Army Small Ships contingent. It is highly recommended to vehicle modellers, Fans of Australian Military equipment, historians and nostalgic veterans. Mike Cecil has done a fantastic job in pulling this all together in one book. 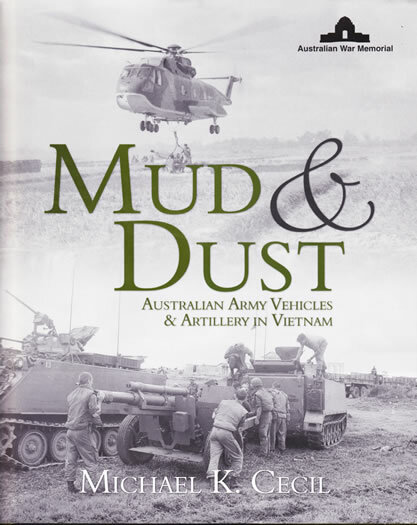 It is not a definitive and detailed history but it is what it claims to be - a book covering the Australian Army Vehicles & Artillery used in Vietnam.